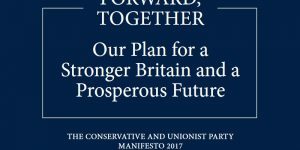 Comment on Labour Manifesto 2017 – Creating An Economy That Works For All by Dave. Pretty much everyone works hard to provide for their family. So why haven’t the Tories done anything about the slowest wage growth in the developed world, the longest fall in living standards since the 19th century, and a massive fall in full-time work: All while the richest have doubled their wealth? The game is clearly rigged in favour of those who have hoarded the most cash! It’s time for a change, it’s time for a Labour government that cares for the working class of Britain.